Jan. 7, 2011 - PRLog -- San Diego, CA, January 7, 2011 -- Chassis Plans, Systems Engineered to Perform®, today announced they have achieved ISO 9001:2008 certification, signifying that its quality management standards meet the rigorous industry requirements of the ISO Certifying Body. The ISO 9001:2008 standard is an internationally recognized quality management system developed by the International Organization for Standardization (ISO). Said Gary Channer, Specialist in Best Practice, Security and Quality Management Systems for IMSM Ltd. of Malmesbury, UK, "Dynamic initiative, innovation and a proactive approach are not words often associated with the process of building a Quality Management System – but for Chassis Plans, they symbolise the pleasure I had working alongside their team and the spirit of the company." Mr. Channer is a certified auditor for the ISO certification process. To be certified to the standard, companies must implement a quality management system embracing the activities of the company. These include staff training, meeting customer expectations, designing and developing products, purchasing materials and services, and delivering products and services. This is done using Plan-Do-Check-Act principles (Deming Circle) and process management, which for Chassis Plans means demonstrating steps taken to provide customers the services and products they pledge. Certification to ISO 9001:2008 reinforces to customers, through an independent third-party, that Chassis Plans operates a quality management system in accordance with the standard. See http://www.chassis-plans.com/iso-9001-2008.html for additional information. 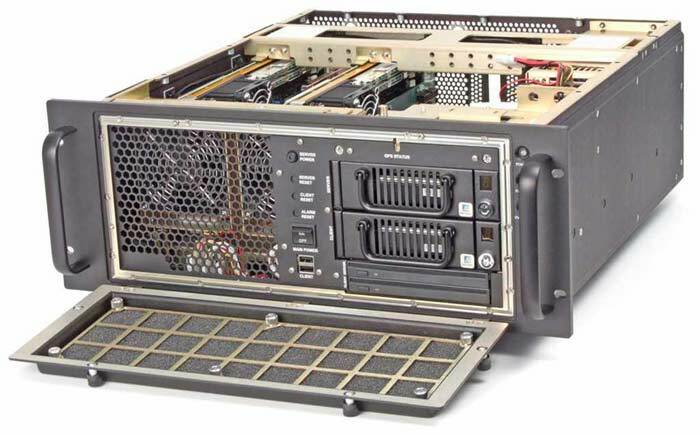 Chassis Plans is a recognized leader in manufacturing fully configured turn-key military grade rackmount computer solutions for the industrial, rugged, and military markets. They manufacture 1U to 6U ATX and Single Board Computer systems tailored exactly to customer application requirements. They also manufacture a full line of industrial rack mount and panel mount LCD monitors and keyboard drawers. Chassis Plans specializes in long-life product support offering unmatched in-house custom chassis design, long-life industrial motherboards and SBC's with strict revision control and material obsolescence management for trouble free program deployment. Key military customers include companies such as L3, Lockheed, and Northrop Grumman. Chassis Plans is an ISO 9001:2008 certified manufacturer of Systems Engineered to Perform!® Please visit http://www.chassis-plans.com for more information or e-mail at saleseng@chassisplans.com.